60% Platinum Ruthenium on High Surface Area Ketjenblack EC-300J is most commonly used as the cata..
75% Platinum Ruthenium on High Surface Area Ketjenblack EC-300J is most commonly used as the cata..
80% Platinum Ruthenium on Vulcan XC 72 (Carbon) is most commonly used as the catalyst for methano.. 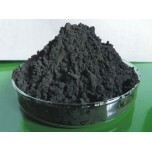 This Ruthenium Black catalyst has a high surface area to provide a higher quality performance. 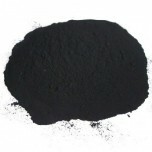 ..
Ruthenium Oxide (RuO2), catalyst powder has a particle size of around 5-10 nm with a surface area..
20% Ruthenium supported on Vulcan XC-72 (carbon). Suggested Uses Ruthenium is most commonly..
40% Ruthenium supported on Vulcan XC-72 (carbon). 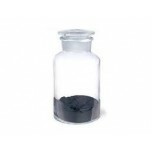 Suggested Uses Ruthenium is most commonly..
100% Palladium Black has a high surface area of around 40 - 48 m²/g. Suggested Applicati..
10% Palladium supported on Vulcan XC-72 (carbon). Suggested Applications Palladium is most ..
20% Palladium supported on Vulcan XC-72 (carbon). Suggested Applications Palladium is most ..
40% Palladium supported on Vulcan XC-72 (carbon). Suggested Applications Palladium is most ..
60% Palladium supported on Vulcan XC-72 (carbon). Suggested Applications Palladium is most ..
80% Palladium supported on Vulcan XC-72 (carbon). 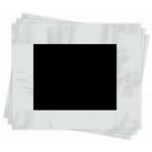 Suggested Applications Palladium is most ..
Fumapem F-930-RFS membrane is a perflourinated cation exchange membrane with low resistance, high..